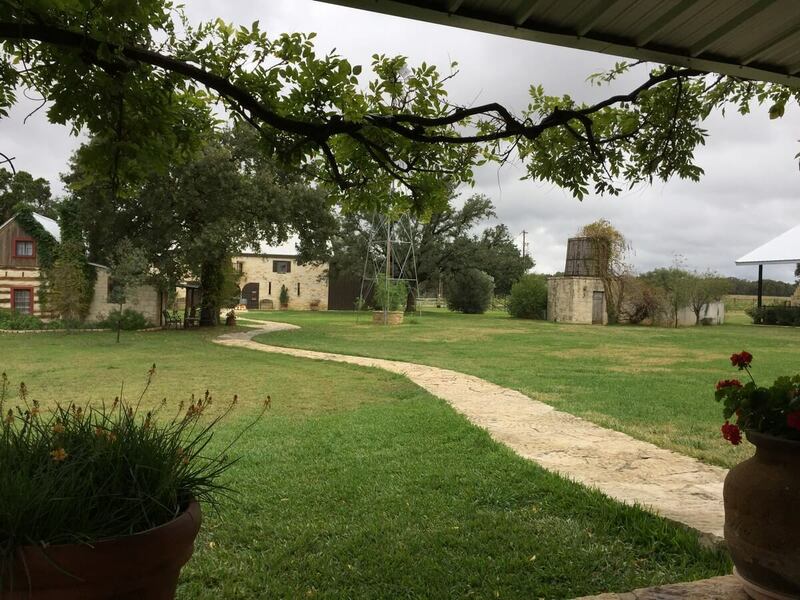 In Part 1, I mentioned the first wineries visited in the Hill Country when I was there for four days. 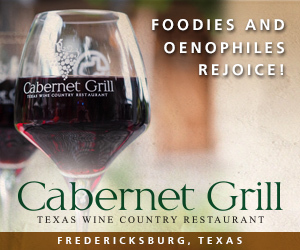 On Monday, I had an appointment in the afternoon at Grape Creek Vineyards, so I had to start making my way down U.S. 290 from Fredericksburg. My first stop though was at Rancho Ponte Vineyard. 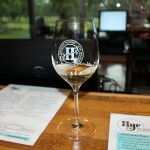 When I entered the tasting room, they were in the process of determining the correct blend to use for a wine. I recognized owner/winemaker Roberto Ponte from meeting him before and we all talked for a little bit. I am not sure how it came up, but Roberto invited me to the production area and showed me around. 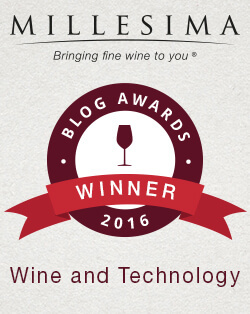 We had previously been to a Ponte family’s winery briefly while in Temecula, California, and we talked about that. 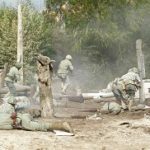 Roberto said that most people thought he probably got all his grapes or finished wine from California and probably from that winery, but that is not true. He said most of the reds at the beginning of Rancho Ponte were sweeter wines, but they are now making dry reds. Speaking of beginnings, I told him that Rancho Ponte was the first wine club we had joined, and he had not been aware of that. His winery cat (not dog) Bagheera, named after the panther from the Jungle Book, followed us around as we toured the small production area. Rancho Ponte makes around 2,000 cases of wine a year now. It had been a fun visit with Roberto Ponte, and he said he would be participating in an upcoming monthly winemaker profile, so we all look forward to that. I took a nice photo of Roberto and Bagheera, but that will be used for the winemaker profile. 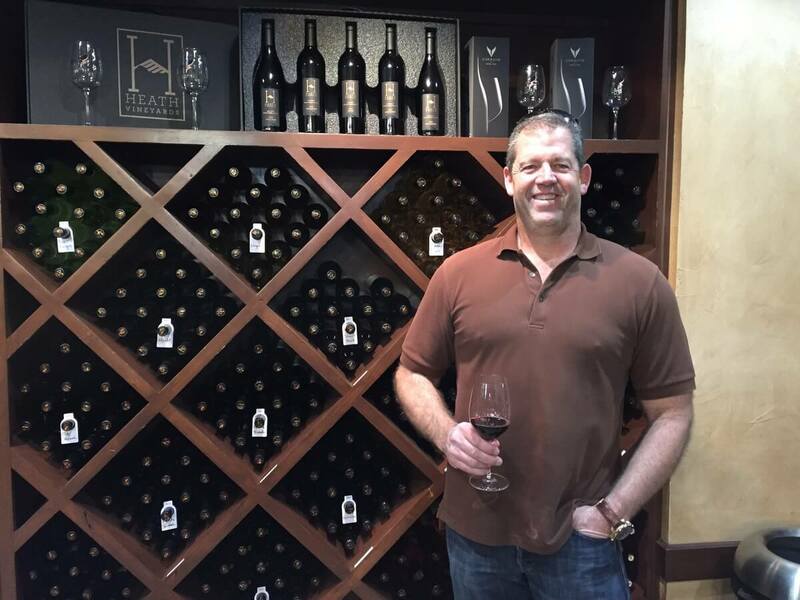 Next was my appointment at Grape Creek Vineyards and co-owner Brian Heath. Brian had previously offered to take me on a personal tour of the winery when we were both available, and fortunately today was it. I met Brian and we first started in the buildings adjacent to the tasting room. Unbeknownst to me, an upstairs tasting room was available for private tastings that included five wines and a cheese platter. I could see how this could be a very comfortable place to enjoy a tasting. You may have heard of Stout’s at Grape Creek Trattoria where you can enjoy a lunch. Brian said they are looking at plans to enclose the dining area to make the experience more enjoyable regardless of weather. We next hopped into Brian’s truck where he explained the different plantings of vineyard they had around the winery including Tannat and Petite Sirah, with even more to be planted in the spring. If you take a taste and tour of Grape Creek, you will see the 110,000 gallons of tank space available that helps the winery produce 50,000 cases of wine a year. You might even see the wine bottling line that can do 1,200-1,300 cases a day if possible. 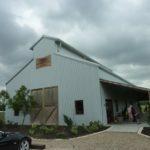 When we took the public tour years ago, we had heard of the first commercial barrel cellar in central Texas, but had not had the chance to see it. 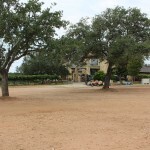 Now was my chance and the first peek for Texas Wine Lover fans of a photo of the underground cellar. 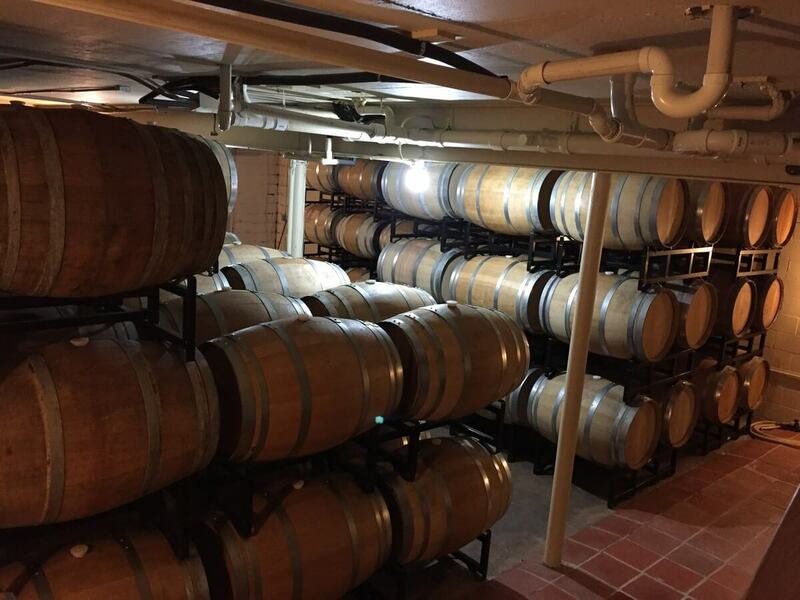 The underground cellar, including a large building next door, houses 1,000 barrels of wine. Since red wines are primarily stored in the barrels, Brian said the red wines are usually released six to eight months after bottling. 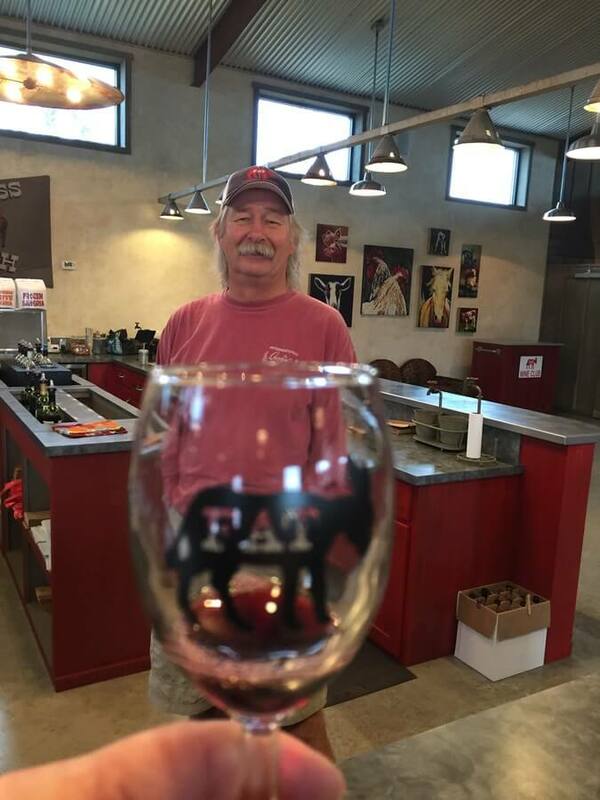 The Heath Vineyards wines are not technically Texas wines, but made by a Texas winery from their own vineyards, and all I can say is they are good! I am not getting any commission from this, but if possible, I would recommend joining the Heath Vineyards Owner’s Club. I had a fantastic visit at Grape Creek with Brian Heath, but my day was ending, so I thanked Brian for his hospitality and time spent with me. Tuesday was my fourth day of winery visits and I had another long day planned. 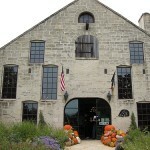 I first headed to Hye America and visited William Chris Vineyards. When you have a long day planned, it is always nice to find wineries that open at 10 a.m. that allows you to make your day a little more relaxing instead of having to rush between wineries. 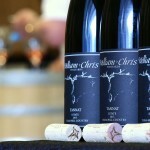 I had a nice wine tasting at William Chris with a new tasting guide and we both had an enjoyable time. 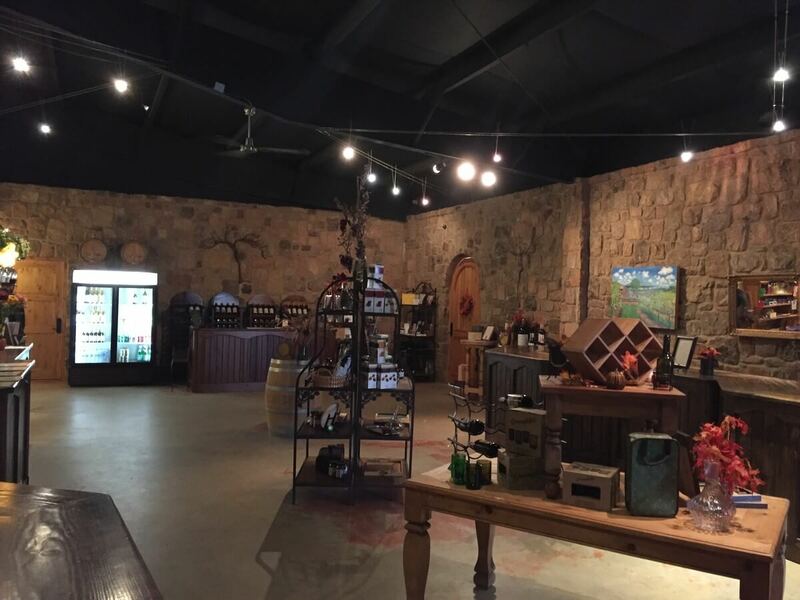 Becker Vineyards is a very popular winery on U.S. 290, especially on the weekends, so my little Texas Wine Lover tip is to visit on a weekday. Over the years of visiting Becker Vineyards, I never had the opportunity to sit on their back patio and just enjoy the day with a glass of wine. This was now my time. There were only a few customers at the winery and I ordered a glass of Tempranillo. It was suggested to buy a bottle, because I could cork it when I left and overall it would be cheaper than just a glass. 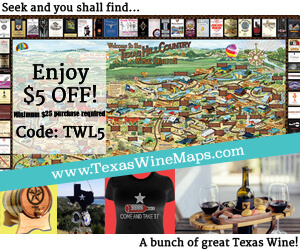 That sounded logical to me, so I sat on the patio with a bottle of Becker Texas Tempranillo. It was peaceful sitting on the patio and enjoying the comfortable temperature and a nice glass of Texas wine. 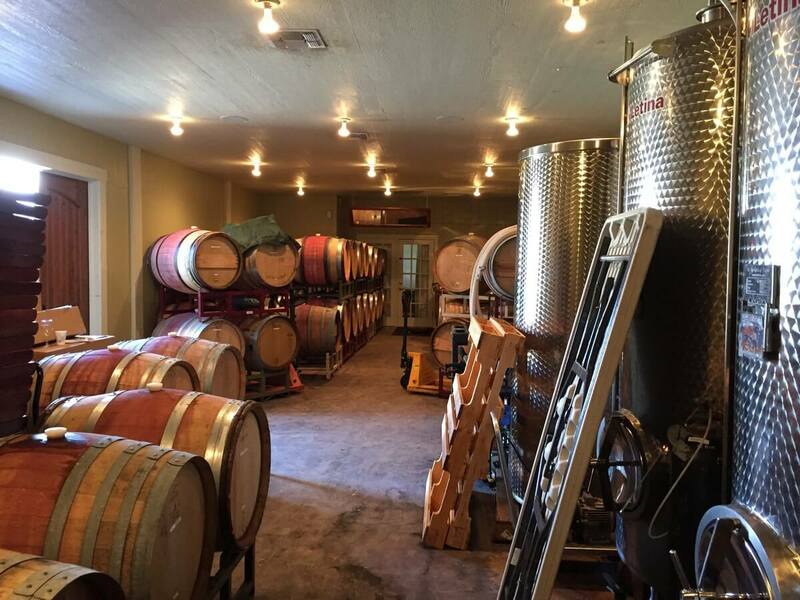 By the way, Becker Vineyards produced 105,000 cases of wine in 2015. Obviously, I did not finish the bottle, so they corked it for me and I was on my way. 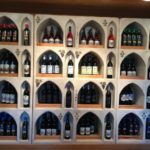 They still offer their popular sweet and fruit forward wines, and I had the chance to help in a little taste test of a future wine they might be offering: Apple Pie Wine. There were different samples to determine what tasted the most like Apple Pie and I believe the few of us who tasted chose the best representative. 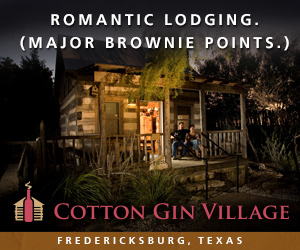 I thanked Gail for the fun time and headed back toward Fredericksburg. On the way, I wanted to stop at Torre di Pietra. 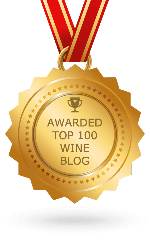 The last time I was there was when we met owner/winemaker Ken Maxwell before he did the monthly winemaker profile. This time it was to do a tasting. 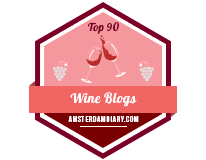 I walked into the tasting room and it was dimly lit like always. When we met Ken before, I asked him why it was lit like that. The answer was the darkness was to represent a wine cellar that is usually dark. Okay, that made sense. 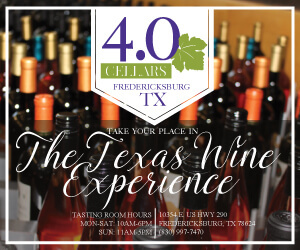 I finished my tasting, made my purchases, and headed on back to Fredericksburg. 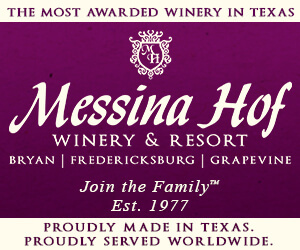 I reached the Rocky Hill Complex on U.S. 290 and my car made a right turn into Fiesta Winery 290. It had been a little while since I had been there last, so I had to see what was new. 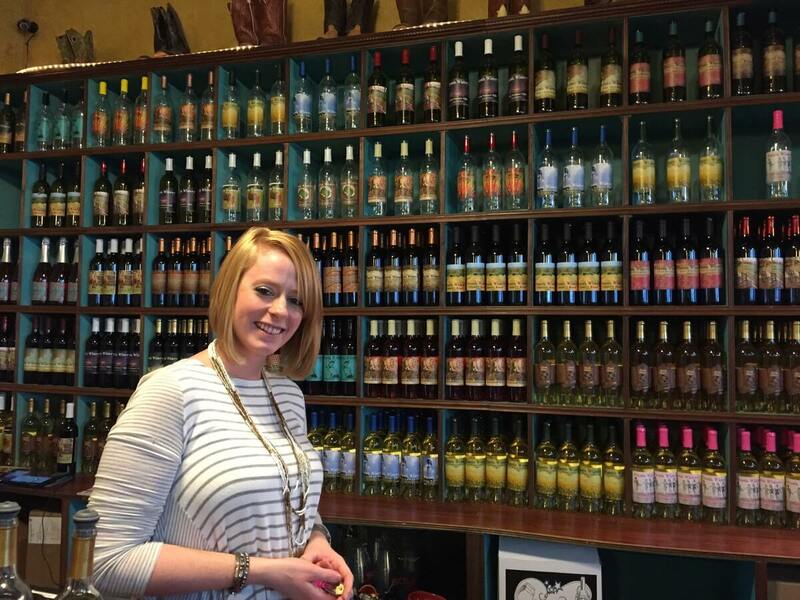 I met Erin Green, the Fredericksburg Assistant Manager of Fiesta Winery. I learned on Saturdays, they offer food and wine pairings on the hour if reserved in advance. The pairings are for about 10 people total. I also discovered they make a wine in a can, the Lime in the Coconut, which is a sweet Sauvignon Blanc. I believe that Infinite Monkey Theorem in Austin was the first to introduce canned wine to Texas, and now others are starting to use that method. I wonder who will be next? I said goodbye to Erin and that was the conclusion of my long four days. I hope that this will give you some ideas the next time you are hangin’ in the Hill Country.